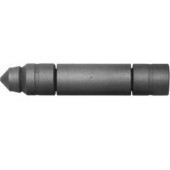 High-performance self-rotating tube cleaning nozzle for thorough polishing of tubes from 1/2 – 3/4 in. (13 – 19 mm). 1/16″NPT Female inlet. 15,000 psi (1000 bar). Flow #1. 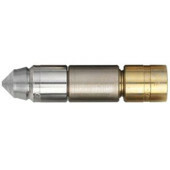 High-performance self-rotating tube cleaning nozzle for thorough polishing of tubes from 1/2 – 3/4 in. (13 – 19 mm). 1/16″NPT Female inlet. 15,000 psi (1000 bar). Flow #2. 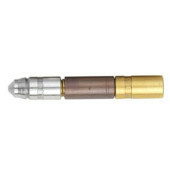 High-performance self-rotating tube cleaning nozzle for thorough polishing of tubes from 1-1/4 – 2 in. (32 – 51 mm). 1/2″NPT Female inlet. 15,000 psi (1000 bar). Flow #1. 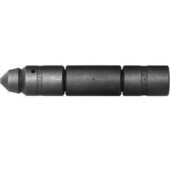 High-performance self-rotating tube cleaning nozzle for thorough polishing of tubes from 1-1/4 – 2 in. (32 – 51 mm). 1/2″NPT Female inlet. 15,000 psi (1000 bar). Flow #2. High-performance self-rotating tube cleaning nozzle for thorough polishing of tubes from 7/8 – 1-1/4 in. (22 – 32 mm). 1/4″NPT Female inlet. 15,000 psi (1000 bar). Flow #1. High-performance self-rotating tube cleaning nozzle for thorough polishing of tubes from 7/8 – 1-1/4 in. (22 – 32 mm). 1/4″NPT Female inlet. 15,000 psi (1000 bar). Flow #2. High-performance self-rotating tube cleaning nozzle for thorough polishing of tubes from 5/8 – 1 in. (16 – 25 mm). 1/8″NPT Female inlet. 15,000 psi (1000 bar). Flow #1. High-performance self-rotating tube cleaning nozzle for thorough polishing of tubes from 5/8 – 1 in. (16 – 25 mm). 1/8″NPT Female inlet. 15,000 psi (1000 bar). Flow #2. High-performance self-rotating tube cleaning nozzle for thorough polishing of tubes from 1-1/16 – 1-3/8 in. (27 – 35 mm). 3/8″NPT Female inlet. 15,000 psi (1000 bar). Flow #1. High-performance self-rotating tube cleaning nozzle for thorough polishing of tubes from 1-1/16 – 1-3/8 in. (27 – 35 mm). 3/8″NPT Female inlet. 15,000 psi (1000 bar). Flow #2. 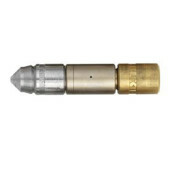 High-performance self-rotating tube cleaning nozzle for thorough polishing of tubes from 1/2 – 3/4 in. (13 – 19 mm). 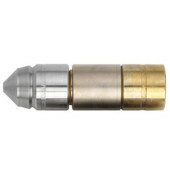 1/4″JS Lance Female inlet. 20,000 psi (1400 bar). High-performance self-rotating tube cleaning nozzle for thorough polishing of tubes from 5/8 – 1 in. (16 – 25 mm). 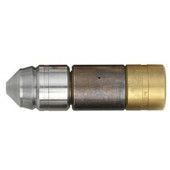 3/8″JS Lance Female inlet. 20,000 psi (1400 bar).